WHAT IS IT? 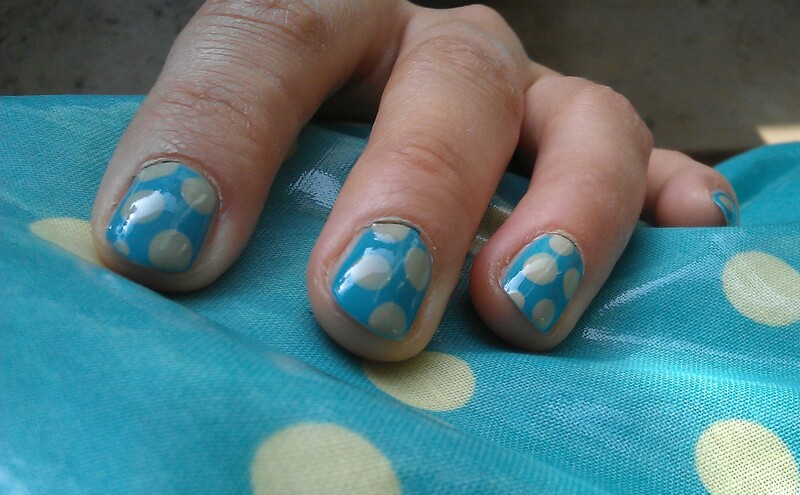 Inspired by a bag I have I chose a quite spring like colour combination for my Polka Dots. WHAT IS USED? A muted turquoise by p2 from their Pool Side Party Limited Edition called 020 turquoise sky, a marvelous nailpolish that is opaque in one layer, and my only OPI polish named Stranger Tides a kind of khaki pastell. I used a brass fastener as my dotting tool as its head has a nice size for big dots. And not to forget one tool that I’m really getting fond of: the nailpolish correction pen. Basically a pen with a felt tip filled with nailpolish remover and great for removing excessive polish around the nails. 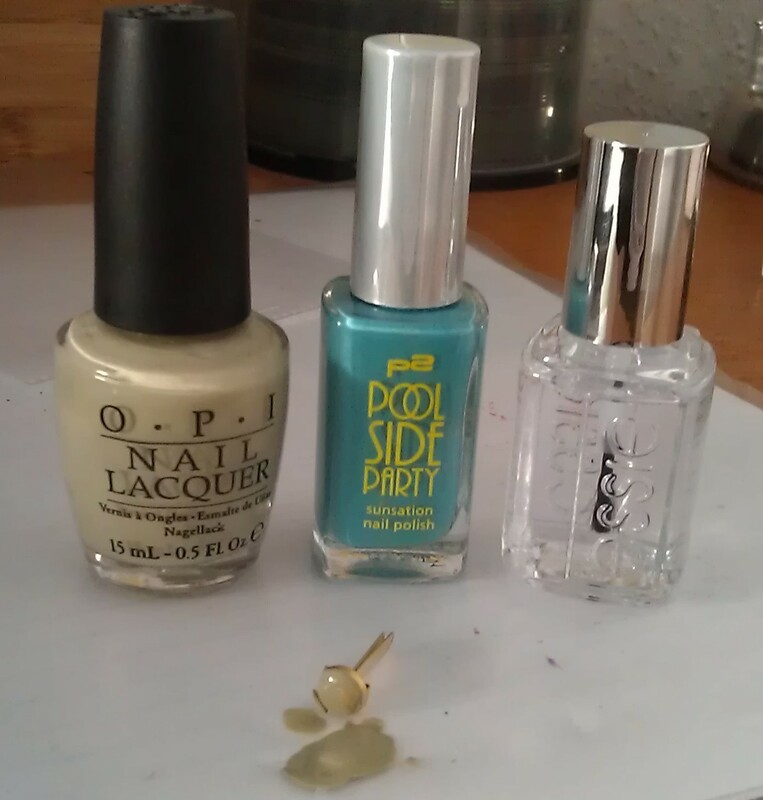 And as a finish the always used essie Good to go top coat. HOW DOES IT FEEL? It looks great but when ever I look at it, I think: This is so not me. It is too playful, too girly. It was the first time I wore polka dots like this and I’m not sure whether my problem is the colour combination or the dots. I actually did the black and white mani later and I can now say: yes, with different colors I like this mani better. This entry was posted in Nail Art and tagged 31 day nail challenge, Dotted Mani, Nailpolish, OPI, P2, stranger tights, turquoise sky by kathatravelling. Bookmark the permalink.